Many prospective students only consider tuition when they research the country's best community colleges. Tuition is, in fact, just a fraction of the total cost of college. To understand total cost of attendance, you must include institutional fees, room and board, supplies, and textbooks. Luckily the U.S. Department of Education (ED) includes these expenses in its net price reports to give prospective students transparency. Students should think beyond price. Graduation rates remain a telltale sign of a college's quality and commitment to student success. Students must finish their degrees to fully benefit from their education. Transfer percentages remain critical because they indicate how many graduates left to pursue a bachelor's degree at another institution. Pursuing a college education stands out as one of the most pivotal and costly decisions of your life. According to the ED's College Affordability and Transparency Center, the national average net price of a two-year college education at a public school rose 18% in just two years. Some two-year college costs spiked up to $22,933 a year, while others remained virtually cost-free due to high percentages of grant aid. Variability in cost is just one factor that influences the return-on-investment (ROI) for prospective college students. 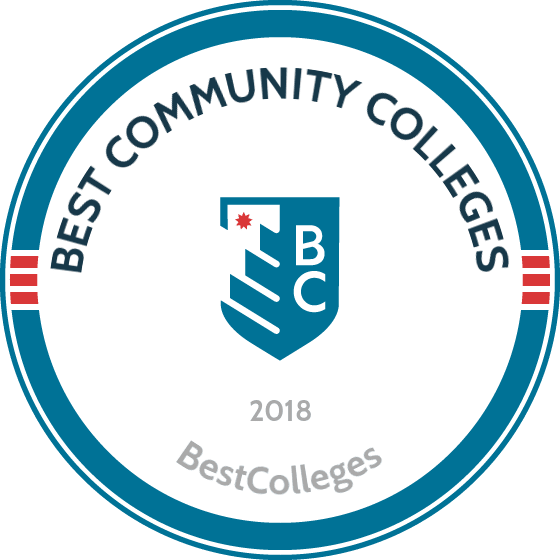 Our team at Best Colleges has put together a definitive list of the top 50 public two-year colleges with the highest graduation rates and transfer rates. Between graduation and transfer rates, GCTC boasts the highest success ranking, and it is likely due to the college's unique special services programs. Prospective students gain access to childcare services, assistive services for disabilities, and additional vocational training. According to their thorough guidance plan, enrolled students are directed to financial aid resources, tutoring avenues, and career-based activities throughout their academic career. This academic institution provides students with immersive military leadership training with JROTC programs for high school students and SROTC programs for college students earning their associate degrees. In addition to their academic workload, cadets work together to complete physical training, mentor other students, and learn safety protocols. Adult learners will find a wealth of information and support services at KCCC, helping them plan out their upcoming courses and career search after graduation. The Career Counseling center can assist you with resume writing, interview practice, and job listing navigation. Digital resources give students even more incentive to complete their academic programs, with databases of free educational software, tech tutorials, and access to an internal helpdesk. Student participation, self-governance, and comprehensive digital resources may be the cornerstones to RCC's graduation success. An 18-person Student Advisory Council staff is there to help you through the completion of professional certificate programs, which are offered during the day, evening, or online for maximum flexibility. Online and mixed-format learners can find supplemental education resources through the library's media program. This vocational training and career preparation institute has a long-standing history, founded in 1967 to accommodate adult learners with diverse learning styles. The education center is committed to guiding class participants from day one, with an orientation meeting that includes career skill assessments, a program overview, and counseling in your chosen field. CTAE has many services that cater to adult learners with children, helping parents earn their professional certificates with several childcare options. Students who have children old enough to be in school can explore extended school day options, giving adults more time to take courses while their children are being monitored by education professionals. This institution does not shy away from posting their annual graduation metrics, which is a testament to their relatively high success rate. Their extensive resource services department provides enrolled students with help at every turn, addressing accessibility, financial aid, clubs, academic counseling, and career advising. This education center also provides noteworthy assistance to veterans with specially funded full-time and short-term training programs. State government officials paved the way for this professional training institute back in 1963, committing to serve adult learners within the Ohio Appalachian region and nearby school districts. The Career Center provides students with many distinct online services, including access to Microsoft Office 365 tools for assignment completion, on-campus lunch service options, and economic independence training for young parents. This academic institution has received countless national, state, and regional awards from organizations like Skills USA and the HOSA Future Health Professionals student organization. MTI boasts a 91% job placement rate, and regularly posts new career opportunities on their local listing board. Unlike some state-funded professional training centers, MTI has developed strong inroads with nearby businesses and industry partners, such as the Suncoast Workforce. WTI offers professional certification programs both on-campus and online, accommodating students who have non-traditional schedules due to work and family commitments. WTI also offers extended day care options, giving parents more time to focus on their studies. The school's transition academy helps students get ready for the demands of a professional workflow through community service and occupational training. Students can enroll in a diverse range of associate degree programs at ASU, from business management to funeral science and allied health specialties. This college fosters a strong tradition of financial aid support and scholarship encouragement, posting students' historical success with academic funding. This school's gainful employment statistics are very clear, making it easy for prospective students to learn about their future career options. Students pursuing professional certificates at EHOVE gain access to services like ABEL math tutoring and a basic skills lab. This career training center encourages success and academic via discount learning options for seniors. Various career departments have branched out into the local community to provide public functions such as salon services, massage therapy, and food service. DAS was founded in 1940, making it one of the longest-established technical schools on this list. This institution is savvy to current job search methodologies, encouraging students to use tools like LinkedIn to cultivate an online resume presence and network with potential employers. This school's counseling department provides assistance for students at various points in their academics, covering career skill testing, GED and high school diplomas, scholarships, and community service. Students can earn their professional certification or associate degrees from SAU Tech, a school that is esteemed for its community service and outreach programs. The Career Academy is an organization that catches prospective students while they are still in high school, providing them with career and higher education advice in order to make their move to a two-year program smoother. Other unique programs, such as the entrepreneurship center, helps motivated individuals plan for a future in business, with an emphasis on marketing, customer service, and finance. This college might have the most comprehensive student service options out of all the organizations listed here, with nearly 20 different sub-divisions dedicated to academic success. The C.A.R.E. department is committed to student retention. The childhood development center provides a safe space for the children of adult learners. There are several counseling departments that handle issues, such as student grievances, disability needs, financial aid, veteran benefits, and transferring to four-year universities. The School Improvement Plan reports are a point of immediate interest for prospective Traviss Career Center students, displaying hard statistics about the annual completion rates for each training program, along with accreditation statuses. Unlike many career centers, TCC has a dedicated newsletter highlighting campus and industry news. This international academic institution is based on a sprawling 112-acre campus located in the backyard of Apple's corporate presence. De Anza sets itself apart from other colleges through its advocacy for diverse student populations, including counseling for undocumented immigrant high school graduates and first generation prospective students. Other counseling services cover psychological stress support, disability needs, and veteran benefit programs. Pierce College is well known for its intriguing science dome facility, a massive digital planetarium that seats nearly 60 people. Technology like this can be a major boon for prospective students entering scientific fields. Pierce cultivates a culture of collegiate level learning early by offering high school students the opportunity to participate in a Running Start program, allowing youth in 11th and 12nd grade to earn college credits. GSTC offers career training and certification in the fields of business, IT, health, industrial science, criminal justice, and public service both online and on campus. One of the most distinguished departments is the criminal justice center, which prepares students for various roles in law enforcement, corrections facilities, and crisis intervention. The CTC provides adult learners with online and campus-based professional training options in trades such as commercial food services, computer science, and early childhood education. Like other career-centric centers mentioned here, CTC has branched out to form partnerships with various industry organizations, such as the Englewood Fire Department, Charlotte Desoto Building Industry Association, and the Charlotte County Habitat for Humanity. This community college was founded in 1957, and has since grown to encompass 79 associate degree programs and 107 professional certificate programs. One of the most remarkable things about this institution is its well-rounded athletic program, which most 2-year college and career centers do not provide. The Foothill Owls compete in basketball, soccer, baseball, tennis, and other activities. NCK Tech has dozens of student activity options, ideal for prospective learners who enjoy a strong sense of community and college identity. While students earn their professional certificates and associate degrees, they can get involved with intramural sports, student senate events, recreational activities, and community service efforts. Another interesting facet of NCK Tech is it's non-profit foundation, which funnels donor contributions back to the students via scholarship programs. MTC takes a strong digital approach to connecting students with potential employers by leveraging two types of online job boards: one for student seeking employment and another for companies trying to hire MTC students. The Jobline office helps students with interviews and resumes, so they will be prepared to find work toward the end of their professional certificate programs. Additionally, the MTC campus is the home to a massive 4,620 square foot conference center, where student can gather for career fairs, tradeshows, and other educational events. This community college has earned the distinction of being one of the top 2-year learning institutions in the U.S., according to the Aspen Institute. This school has also earned awards for being a military friendly school and one of the best colleges to work for. LATI places an emphasis on corporate business education, with programs in employee training, manufacturing, and computing. This academic institution has made a name for itself by offering career training designed specifically for adults with disabilities, covering fields like custodial maintenance, merchandise handling, and culinary preparation. The student services department specializes in career development aid, counseling students on their upcoming job search. This technical and career training institution has established crossover specializations, which allow students to explore two fields within a single program. The crossover law/corrections track places an emphasis on criminal justice methodologies as they pertain to Florida state laws. Students can explore 26 different professional certificate programs at LTC, in industries such as business administration, manufacturing, and distribution logistics. Students who need academic and career counseling can visit the Adult Applied Academic Education Lab in order to access advising and tutoring sessions. CCC is a tight-knit professional training institution that offers certificate programs in health, cosmetology, law enforcement, and trade industries. Their student services center provides enrolled students with access to social workers and agency counselors, who can address a variety of personal, professional, and academic needs. Prospective students eager to begin their undergraduate studies or professional training right away should explore Rend Lake College, since they have a rolling open admission system. One of the unique characteristics of this community college is that they offer study abroad options in countries like Jamaica, Costa Rica, Austria, and England. RLC is dedicated to cultivating arts and culture on campus, posting calendars of upcoming theatre productions, art auctions, and music performances on a seasonal basis. This trade and technical school completed a major renovation project in 2010, so prospective students can look forward to completely revamped computer labs, cafeterias, conference rooms, and learning spaces. Students get the opportunity to practice their skills on campus by offering public services such as massage, auto repair, business training, salon, and computer repair. Lorenzo Walker also has a remarkable refugee services program, providing counseling, job training, and employment referrals to qualifying students. Like the Running Start program at Pierce College, Alexandria Technical and Community College has Post Secondary Enrollment Options, giving high school students the opportunity to gain college credits early. ATCC also has support services that focus on specific academic skill sets, giving learners assistance on study habits, test taking, and test anxiety reduction. SCC has an open door admissions policy, encouraging all applicants to immerse themselves in an associate degree program or professional training. The student services department is committed to students' academic success, with employees focusing on counseling, tutoring resources, and disability services. This school offers classes both online and on-campus. Like schools mentioned earlier, Ranger College also has accelerated learning programs designed to help local high school students earn college credits. The goal of having these eventual associate degree students transfer to four-year colleges in the future. In addition to the diverse range of associate programs and professional training options, students can also take part in Ranger sports, such as baseball, basketball, and soccer. The student support services department at SCC drives a careful blend of resources, services, and career development options. This campus is also home to a wide range of student clubs and activities, such as an electronics club, journalism club, and the paralegal club. Prospective students can get a glimpse of student life online by checking out the live campus webcam feeds. ICC is a small college offering just 17 associate degrees programs, including ones in natural resources, pulp and power, and power generation. There are numerous ways students can get involved on campus, with an international honors society, athletic teams, and student leadership clubs to join. ICC places a very strong emphasis on support services, with programs like Support within Reach to address domestic and sexual violence and a Behavioral Intervention Team dedicated to crisis response. Prospective NWICC students gain access to a breadth of support via the school's TRiO program, which includes personal counseling, career planning, tutoring, cultural activities, workshops, and exclusive grant awards. Unlike many 2-year colleges described earlier, this school has on-campus housing, offered in apartment and suite styles. NWICC has committed itself to supporting diverse applicants with funding options and an open admission policy. This academic institution places an emphasis on community outreach, with dual credit partnerships at local high schools, personal enrichment courses, and a Relay for Life fundraiser. MCC also has a strong support system for disabled faculty, staff, and students. Students can enroll in both campus-based and distance learning programs at this school. This school has 48 two-year transfer programs, which probably accounts for the high transfer rate from WWCC. Learners can take courses both online and in traditional classroom settings. This school has built strong relationships with multiple community organizations, including Star Transit, the WWC Foundation, and the Green River Center. This professional training institution has many education options tailored to students with disabilities. Their hearing impairment department was founded in 1986, giving student access to assistive technologies, note taking, and telecommunication devices for the deaf. In addition to these options, the technical center offers full-time career and academic counseling for all students. This two-year college boasts a job placement rate of 96% amongst graduates. Career-oriented learners can find support through the TSCT Office of Academic and Personal Counseling, which provides assistance with issues like stress and alcohol abuse. Like NWICC, this college also offers on-campus living options, with a residence hall that houses about 400 students. This academic institution is the home of the Cowley Tigers sports teams, whose fans are distinguished by bright orange uniforms. In addition to fostering a high level of school pride, this college organizes dozens of social gatherings, such as pool tournaments, free movie nights, tug of war challenges, and blitz ball challenges. Students looking to make friends and build connections in a traditional campus environment might want to consider Cowley. While this college has low graduation rates, the school's high transfer rates are a testament to Schoolcraft's credit transfer options, which allow students to earn an associate's degree before moving to a 4-year institution. This college has a well-rounded student service program, helping learners with transfer planning, veteran college funding, international studies, academic advising, and disability support. Another unique aspect of this college is that it offers multiple types of prospective student tours, including culinary, campus, group, and departmental tours. ECC has been featured on CNN Money for its high combined graduation and transfer rates. This college offers on-campus and distance learning options for students exploring their associate degree and professional training programs. ECC takes a communal approach to student services, with locations like The Hub encouraging group tutoring support and homework help labs. The best community colleges allow candidates to earn higher education credits at lower prices than four-year institutions. However, the benefits of attending community college extend beyond cost. For instance, most schools feature small campuses that allow for easier navigation, and class sizes often reflect this same comfortable quality. Rather than studying as a face in a large crowd, community college learners may attend classes that encourage individual interaction between classmates and faculty. This factor boosts educational quality since students can discuss class concepts with professors. More personal connections also leads to more authentic recommendation letters. Degree seekers experience greater flexibility at community colleges since these schools offer numerous evening and weekend courses. Attending community college allows working professionals fulfill program requirements around work schedules. Community colleges also include more diverse student populations since many nontraditional learners, such as single parents and learners returning to school after years of absence, frequently choose these institutions. Many community college students study locally, making it easy for students to live at home. However, this aspect sometimes limits the number of international learners at a community college. Community college degrees can lead to immediate employment in certain trades, such as nursing and paralegal studies, but candidates can also use these programs as stepping stones toward four-year degrees. Either way, students gain a strong academic foundation to prepare for prestigious careers at these schools. Are Community Colleges Cheaper Than Four-Year Universities? In general, community colleges charge lower tuition than four-year schools. In fact, resident students may pay less than $100 per credit at community schools, and typically no more than $200 per credit. For a 60-credit program, a $200 charge leads to $12,000 for total program tuition. Tuition at four-year universities easily exceeds this amount for just one school year. Due to the cheaper rates, learners can take classes from multiple fields to search for the right major before committing to a program. Additionally, many community college learners live at home, which eliminates room-and-board expenses for lower educational costs. Admission standards at community colleges prove lenient when compared to four-year schools' requirements. For instance, candidates may enroll at certain community schools before graduating high school, and other learners may only need evidence of a high school diploma or equivalent before beginning college coursework. Community colleges may require applications and proof of selective service registration, if applicable, but may omit common admission elements such as standardized tests and minimum GPAs. Due to this leniency, students with low GPAs may study at community schools to prepare for admission into a four-year institution. Students should note, however, that individual programs may involve limited enrollment that can intensify admission requirements. Individuals who earn an associate degree make approximately $400,000 more in a lifetime than candidates with only a high school diploma, but expected salaries vary based on career. For instance, registered nurses with associate degrees earn a median salary of $70,000 per year. However, preschool teachers who hold associate degrees earn a median salary of $28,990. Students can research the typical wages for their intended careers to determine the financial value of an associate degree after graduation. Location matters when choosing from among the best community colleges in the U.S. Many students decide on local schools to enjoy the convenience of learning while living at home, while other learners desire to study in a new area. This decision impacts career opportunities since a program's practicum or fieldwork introduces candidates to potential work environments. When learners fulfill these experiences in their desired city, they increase their chances of earning employment from these program elements. Degree seekers should also research tuition rates to find budget-friendly options. Neglecting this step leads to higher student loan debt or out-of-pocket expenses. Location impacts cost since in-district or in-state students often pay less tuition than non-resident learners. Other factors that influence tuition rates include program and degree type. For instance, medical courses involve higher tuition rates than history courses. A limited number of programs remains one shortcoming of community colleges. Due to this constraint, candidates should search for schools that offer their intended program. Schools provide tutoring services, counseling, writing assistance, sports programs, clubs, and extracurricular opportunities that engage a student's interest and deliver additional field experience. Applicants should consider these opportunities when selecting institutions to ensure a well-rounded and fulfilling education. Graduation rates should also impact college choice since a high rating indicates student success. Candidates can consult the National Center for Education Statistics for information on these rates. Accreditation means a recognized agency has determined a school or program holds academic merit. Currently, the ED lists more than 30 nationally accepted agencies. Institutions may earn national accreditation that reaches across the country. Regional accreditation indicates agency support in one of six regions and provides easier credit transfers between schools. Community colleges often boast regional accreditation. Programmatic accreditation means an agency has approved a particular program within a school. This accreditation matters greatly when earning a career in certain fields, such as law and healthcare. Students who attend unaccredited schools may find that employers do not recognize their degrees as valuable. To encourage future employment, candidates should search the ED's database to verify a school's accreditation. The best community colleges in America offer students various associate degrees, and each option provides specific benefits and purposes. Candidates should consider all opportunities to ensure the selected degree complements their career goals. These degrees provide candidates with liberal arts knowledge in fields such as theater, history, literature, sociology, languages, and art. Programs often require 60 credits and two years for completion. AA degrees prepare students for transfer to four-year schools, making an AA a stepping stone in higher education. Like an AA, an AS presents students with coursework that prepares for studying at four-year schools. These degrees include similar qualities as an AS, such as credit requirements and general education needs, but may call for more math or science classes within the needed 60 credits. These degrees focus on liberal arts, but prepare candidates for immediate employment after graduation instead of a school transfer. Specifically, learners can train to become chefs, interior designers, photographers, and paralegals through these programs. Departments may require 60 credits and two years for AAA completion. An AAS readies candidates to enter the workforce after graduation. Contrary to an AAA, however, this associate degree focuses more on math and science coursework rather than arts. Possible fields for AAS employment include accounting, nursing, and physical therapy. Students may need to complete 60 credits to earn this degree. Plan: Students should know their goals when entering a community college to prepare for life after graduation. For instance, learners who intend to immediately enter the workforce can step toward this goal by pursuing an AAS or AAA. Talk With an Adviser: Advisers may provide insights on academic concerns, such as schools that award community college students with transfer scholarships, or internship opportunities that apply to students' career goals. Connect With Faculty: Four-year institutions may require recommendation letters for admission. Building professional relationships with college educators gives students opportunities to submit positive and genuine letters from higher education professionals. Apply for Financial Aid: Community colleges often require less money than four-year schools, but candidates should still apply for financial assistance. With scholarships and grants, learners may finish an associate degree without paying any money out-of-pocket. Care About GPA: Bachelor's programs may insist on a minimum GPA for admission, and employers might consider transcript grades when hiring. GPA matters for learners intending to transfer or immediately enter the workforce. Students can transfer to bachelor's programs as prepared juniors by researching transfer details when they first enter community colleges. For instance, some state schools agree to accept all coursework from in-state community colleges. Candidates wanting to attend a specific four-year university should choose a community college from that institution's state. Furthermore, learners should contact an admissions representative from the intended four-year school for information on how each credit transfers. For example, a student may take a community college course concerning fantasy literature to fulfill a literature requirement. However, if the chosen four-year school does not offer an equivalent course, the class may only transfer as an elective. If too many associate courses suffer this fate, students must complete most general requirements and core classes after transferring in order to earn a bachelor's. Students should note that only the name of the school awarding a degree appears on the actual degree. For the bachelor's, no reference to community colleges surfaces on the degree. The following school list was created by compiling data published on the Integrated Postsecondary Education Data System (IPEDS), which is public documentation released by the U.S. Department of Education. This section details the rates that factored into the success score for each school. Graduation Rate: This number is determined by dividing the number of graduates from the adjusted number of cohorts at each school. Transfer Rate: This percentage is reached by dividing the number of transfer-out students by the adjusted number of cohorts attending each school. Total Success Rate: The school list below is arranged from high to low based on the total success rate. This value is reached by totaling the graduate rate and the transfer-out rate for each school.